This year’s Africa Progress Report calls on African leaders to tackle inequality and demands global community tackle plunder of continent’s natural resources. 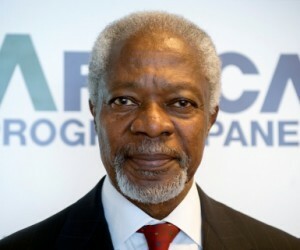 Annan, who played a central role in shaping the Millennium Development Goals, says: “When countries sign up to the new global development framework, they should pledge not only to meet ambitious targets but also to narrow the region’s indefensible gaps between rich and poor, urban and rural, and men and women." The report’s authors identify agriculture as the key to growth that reduces poverty. They point out that most of Africa’s poor live and work in rural areas, predominantly as smallholder farmers. 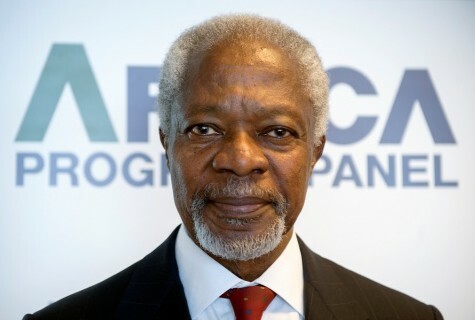 “Countries that have built growth on the foundations of a vibrant agricultural sector – such as Ethiopia and Rwanda – have demonstrated that the rural sector can act as a powerful catalyst for inclusive growth and poverty reduction,” Annan will say at the launch. ”Natural resource plunder is organized theft disguised as commerce. Commercial trawlers that operate under flags of convenience, and unload in ports that do not record their catch, are unethical,” Annan said, adding that these criminal activities compound the problem of tax evasion and shell companies. The Africa Progress Report 2014 calls for a multilateral fisheries regime that applies sanctions to fishing vessels that do not register and report their catches. The report also calls on governments around to world to ratify the Port State Measures Agreement, a treaty that seeks to thwart the poachers in port from unloading their ill-gotten gains.